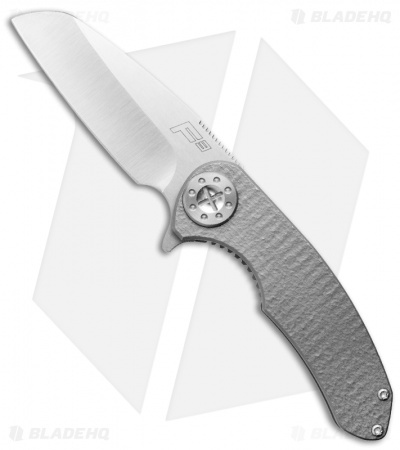 This Curtiss F3 flipper has a satin finished sheepsfoot blade with flipper. The handle is titanium with custom textured front and back (see pics). It is open built with barrel standoffs and includes pocket clip. The F3 has the S.P.O.T. pivot, which stands for Stop Pin Over-Travel. The large diameter prevents over travel and up and down movement by improving the lock bar stabilization. 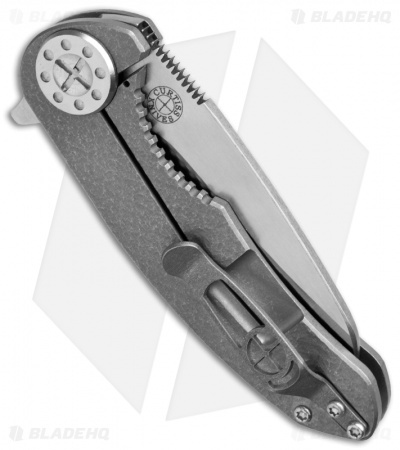 Second, the stop pin locks into a pocket on the bottom of the pivot head and prevents the pivot from rotating.